When it comes to buying multipurpose bags for holding your items, nothing beats an all-natural product. This Burlap Jute Bag is exactly that product. 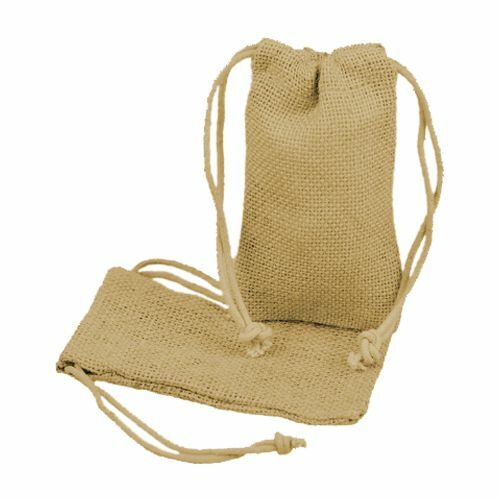 Crafted to carry numerous items, this sturdy Jute bag can be used for various purposes including delivering gifts to a loved one as well as for shopping purposes. In addition to being extremely practical and functional, the Jute bag is also visually pleasing and protects your belongings in the best way possible. 5 3/4 x 9 3/4"
Jute is an excellent natural material to weave and turn into a fiber. It is often used to create the burlap fabric by weaving the different threads from the skin of the jute plant. We describe these details for you, if you are looking for a small bag that not only protects your belongings, but also show your naturalist side. 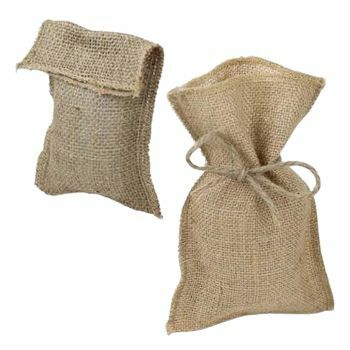 This wonder burlap bag is a treat for all who value natural items. The jute bag is available here in its natural finish, and beholds a beauty that is only open to the eyes of the true nature lover.